Finally, I have made good use of my new mini-obsession, Pinterest. Today I set up some paint and paper for both the Oh Waily children and encouraged them to do dotty art, as per this Pin. Here is the result of their efforts. Master Oh Waily's neo-impressionist Tree. Followed up by my encouraging her to do another picture, this time in the style of Seurat. 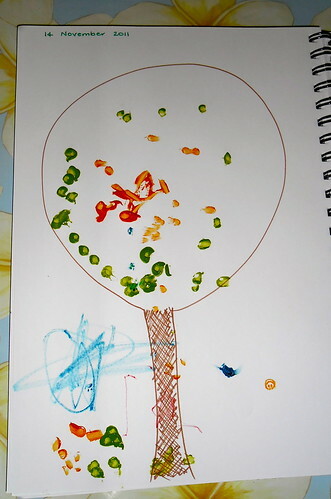 Miss O's own tree - dots and all. 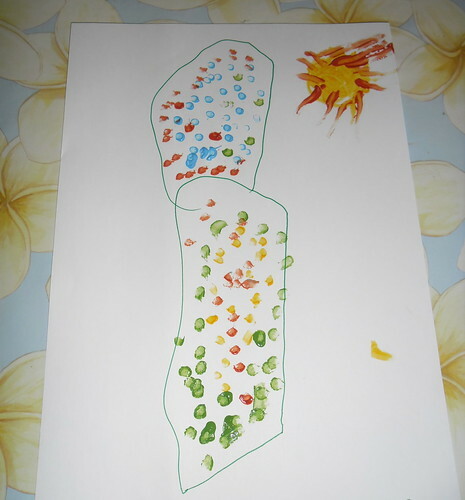 Do you get the impression that Miss Oh wasn’t all that taken with pointillism? 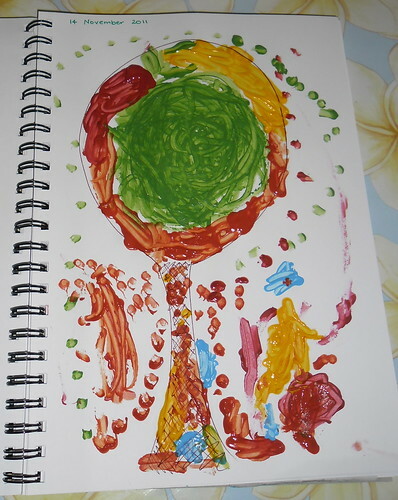 Still, she seemed to enjoy using the cotton buds instead of paint brushes so that option may remain on the table for future art hours. So, what little artistic endeavours have you or your children indulged in thanks to the wonder that is Pinterest? Come on, link up, I’d love to see.